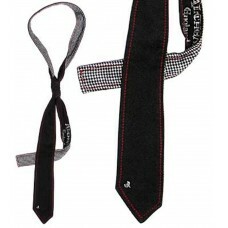 Tie with a black background and large white skulls arranged randomly on a black background. It's shi.. 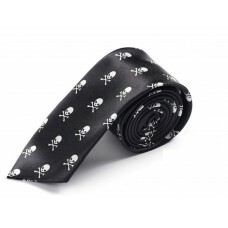 Thin skinny tie with white skull and bones on black. They are all of equal size. The tie is satin.10..